Guilty of overindulging during the recent Chinese New Year festivities? Amidst the sinfully indulgent offerings available in Singapore, eating healthy is certainly no easy feat. Get back on the bandwagon and kickstart your healthy eating journey today with these 20 places that prove that healthy food isn't boring or bland, and can be affordable too! WHERE TO GO FOR HEALTHY FOOD IN SINGAPORE? Eating healthfully while you have dietary restrictions, such as being vegan or vegetarian, can be painful. These restaurants, however, will cater to you, making sticking to your diet a breeze. 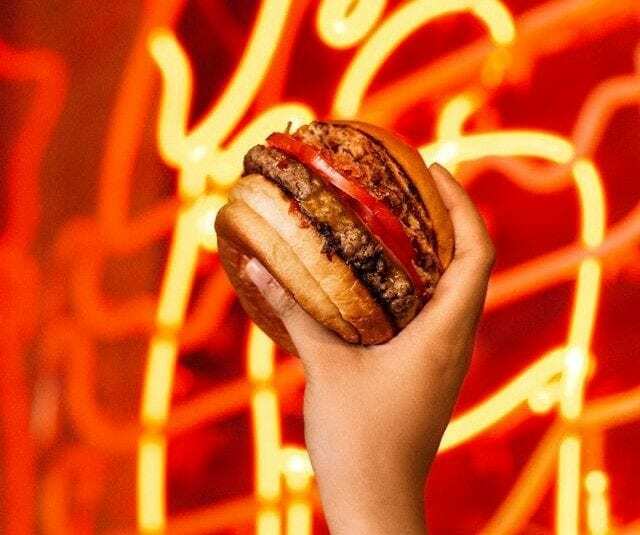 Only available at 8 exclusive restaurants in Singapore, the Impossible Foods' "meat" looks like meat, tastes like meat, and even bleeds like meat - but, they're entirely plant-based, delivering the unimitable taste of beef without the catastrophic environmental impact of livestock. The secret to this lies in the heme molecule, which is responsible for the explosion of flavours that are released when meat is cooked. At these two restaurants, you can sink your teeth into the all-new The Impossible Dream and Impossible Chedda burgers, whipped up by Group Executive Chef Adam Penney. Vegetarians and meat-lovers alike will be thrilled by the savoury, charred and juicy burger. This raw vegan restaurant is passionate about going back to basics, but their unique menu is anything but basic. Here, you can expect flavourful farm-to-table style dishes such as kimchi nori rolls, quinoa and spinach burger as well as zucchini linguini with walnut balls. Try their raw chocolate salted caramel cake to end your meal on a guilt-free note! Ever thought of going vegan or trying vegan food? At HRVST, be surprised by what plants can do with unique items like the Pumpkin Fettuccine, Fried Chickpeas and Bak Kut Teh Barley Risotto. Gluten-free and allium-free options are available here, too. Going vegan has never looked this good! Start your day off on the right foot with Pickleville's popular toasties (slathered with unique spreads like ricotta cheese and fermented honey garlic butter). For lunch, pick something off their new keto menu or build your own grain bowl which heavily features in-house pickled items. At The Butcher's Wife, gluten-free grub isn't a mere afterthought. Delectable, contemporary European dishes such as the kale and gorgonzola "buñuelos" with saffron aioli or the grilled lamb sausage with yoghurt, mint and pistachios take centre stage here. 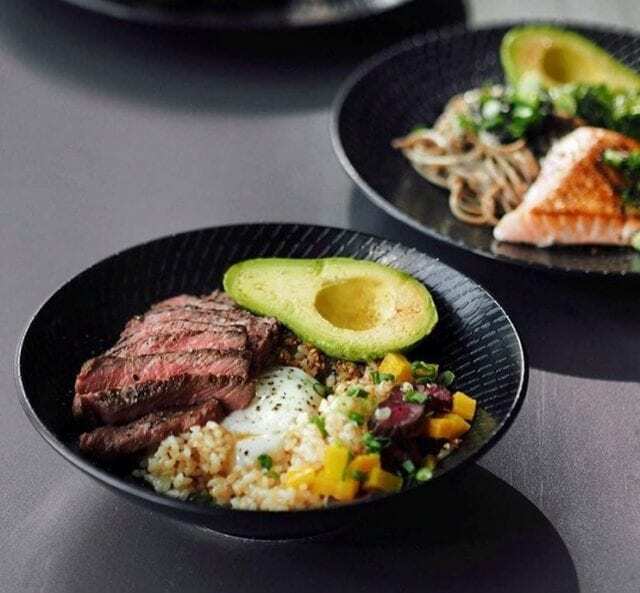 The build-your-own-bowl concept is popular as it's a great and tasty way to pack in nutrients and fibre into your diet while allowing you to customise the base, protein and toppings to your liking. With no lack of choices around, we picked our favourite few! Forget your typical lunch-time joint: here, hearty comfort food is taken to the next level, thanks to their belief in serving slow food real fast, making everything (even the dressings and sauces) from scratch. You're guaranteed a quality meal here with their jaw-dropping selection of different grains, proteins and vegetables to choose from such as the barley rice, tuna tataki and miso mushrooms. They also have both a savoury and sweet breakfast menu, including superfoods like Açaí and chia seeds, to start your day right! 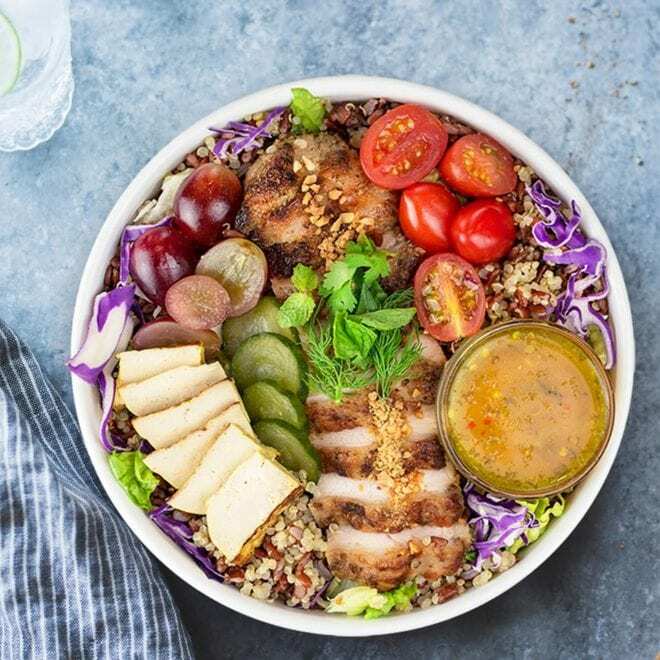 Between their all-natural smoothies, wraps and salads, Asia's first and largest healthy food chain can boast that they serve the best-tasting, most nutritious options which are sourced sustainably. Check out their newly-revamped menu - now, there are more warm toppings, grain bases and protein options to choose from. Vegan options are available, too! Make a pit stop at this bespoke bicycle-themed cafe for their customizable protein bowls as well as good coffee and tea. They also carry a range of bicycle equipment and apparel for you to browse while you're there. Let your health blossom here, especially with their fresh menu for spring. Top off your bowls with the homey and hearty miso chicken thigh, tangy chilli lime grilled shrimp and spicy Sichuan silken tofu - it'll make the cut for even the pickiest of eaters. The coffee may be the star of the show here but the ever-evolving menu, especially the spread of nutritious Middle Eastern and Asian-inspired options at the quick-service Warm Salad, Grain Bowl and Flatbread bar, also deserve the limelight. This one's a no-brainer - Japanese cuisine is one of the healthiest cuisines in the world, after all. 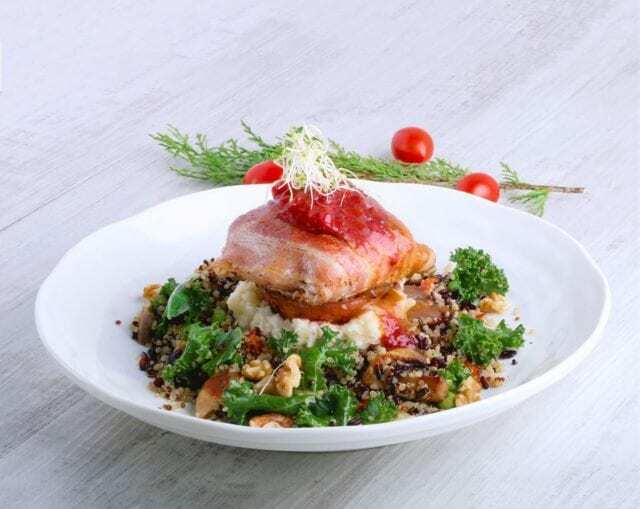 Inspired by Wafu, which is the Japanese style of western cuisine, Wafuken takes healthy food to the next level as Singapore's first sous-vide themed healthy restaurant concept. The result? Mouth-wateringly juicy and tender meats that retain their flavour and nutrients and are at their optimal doneness. Eating healthy doesn't mean you can't let the good times roll! With over 60 ingredients to choose from, this halal-certified joint invites you to get creative to make your own sushi and Japanese-inspired salads. This fusion restaurant adds zest to wholesome Japanese cuisine by giving it a refreshing Californian twist, which results in a range of made-to-order sushi rolls, poke bowls and salads which are both healthy and satisfying. Healthy food can take on many forms, so "don" miss out on the signature Kaisen dons here. No one-bowl wonder in sight: you'll definitely enjoy the rice bowl as it's topped with generous chunks of sashimi tossed in chef Teppei's secret sauce. Whether you're eating at a caloric deficit or aim to get in more food volume without going over your daily calorie allocation, hotpots are a good choice. 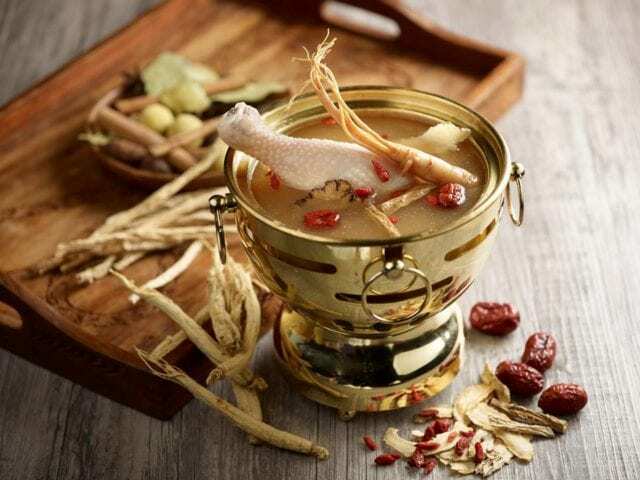 This Hong Kong style steamboat concept under the Paradise Group offers each diner an individual hotpot with a choice of 13 different broths and a wide variety of fresh meat, vegetables and pastes to choose from. Other than comforting soups, Seoul Garden HotPot also offers the bibimbap range. Those counting calories can thoroughly enjoy the Assorted Korean Mushroom Bap and Marinated Chicken Bap, which have the lowest calories! Going out while trying to eat healthy seems almost impossible but these restaurants are excellent locations for both group gatherings and healthy meals. Whether you dine at Cedele Bakery Kitchen, Cedele Bakery Cafe, Cedele All-Day Dining or Greater Lot by Cedele, one thing's for sure - their honest, wholesome omelettes, salad bowls, sandwiches, wraps and even cakes make it easy to eat well and be well with Cedele. Get your hands on a burger here to satisfy your cravings - it won't derail you from your diet! Fresh, quality ingredients are used to elevate the humble burger into a healthy and hearty meal. There are even vegetarian and vegan options available. This restaurant fully capitalises on the farm-to-table concept, using herbs, vegetables and flowers from their edible garden as well as quality local produce to produce dishes, like Cauliflower "Wings", Steamed Tiberias Barramundi and Duck on Toast. Being A Poke Theory's evil twin with unapologetically decadent dishes, one would not expect Alter Ego to have any healthy options but, their healthy Hawaiian poke bowls and salads are perfect for days when you want to eat clean.